Ash Ketchum (or “Satoshi” as he is known in Japan) is introduced as a ten year old Pokemon trainer from Pallet town. 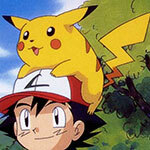 While his signature Pokemon partner - Pikachu - reigns supreme as one of the most recognizable mascots of the franchise, Ash is nearly equally as popular (especially among North American markets)​. If your goal is to put together an accurate Ash Ketchum cosplay, arguably one of the most important articles to begin with would be his signature ha﻿﻿﻿t. Ash’s signature hat was acquired by winning it in an official Pokemon League contest. The official Pokemon League Expo ball cap was apparently sought after by many trainers in the anime including: Misty the Cerulean city gym leader. ​Considering it’s rarity, it is no wonder Ash becomes understandably upset when a wild Mankey snatches it for a short time playing a game of “Keep-Away” with the young trainer. Ash wore his Pokemon League Expo hat far longer than any other hat he has owned to date. He has worn it as part of his regular wardrobe throughout his travels of: the Kanto region, the Orange Archipelago as well as the Johto region. He is synonymous with having his cap turned backwards during times of great determination such as when capturing a wild pokemon or battling. Ash has sported quite a few different styles of baseball cap since his introduction. Let’s take a look at some of the most recognizable ones. Here is a ball cap that is another exact match to the one worn by Ash throughout his travels of the Unova region. Additionally, this design of Ash’s hat seems to match that of his video game counterpart “Red". Ash has been known to wear many different jackets throughout his appearance in the Pokemon animated series. His jackets have come in a variety of colors and styles as well, including: casual jackets, athletic wear and hoodies just to name a few. ​While Ash’s jackets share certain similarities, an interesting observation about his jacket wearing habits is that since he traveled to the Hoenn region and changed his wardrobe, he has never regularly worn an open jacket like that in his earlier appearances. While Ash is known for a few different jackets, one in particular stands out as the quintessential Ash Ketchum jacket. That of course being his classic blue and white short sleeve baseball style jacket from his early adventures in Kanto, the Orange Islands and Johto. While there isn’t any officially licensed version of Ash’s jacket, there are a few options out there for anyone hoping to put together an authentic Ash Ketchum costume. Here are the most relevant options that I found to be readily available. Ash’s shirt from his Kanto/Johto wardrobe is a simple monochrome t-shirt worn underneath his jacket and tucked into his blue jeans. ​The color of this t-shirt is the subject of some debate surprisingly as it has been noted to be either cyan or teal color, while others contend that it appears to be black or navy. When it comes to Ash’s legwear, the most recognizable article of clothing is arguably his light blue stonewash denim jeans. These are the simplest and most basic pants in Ash’s fashion arsenal. ​Ash has been noted to wear his basic jeans throughout both the Johto region and the Kanto region as well as the Orange Islands. Also it is worth noting that when Ash wore these jeans, he kept them cuffed at the leg openings. Because Ash in an animated character, the type of shoes he wears seems to be a matter of opinion. A few concrete facts about the design of Ash’s shoes are that in his early appearances they appear to be black and white colored sneakers with a red circular shape on each individual shoe. ​Probably the most frequently used substitute for Ash’s shoes both for appearance and affordability are basic black and white Converse All-Star Chuck Taylor sneakers. We’re nearing the end of our guide on creating an epic Pokemon cosplay for Ash Ketchum, but there are still quite a few important items to discuss. ​As any seasoned Pokemon trainer knows, it takes a little more than just care and attention to get the job done. Luckily we’ve got an array of useful accessories to help you on your journey. Here are some of the most valuable accessories Ash has been known to make use of. Arguably one of the most important tools used by a Pokemon trainer, Ash’s first generation Pokedex is an item that catalogs information on all of the various Pokemon he encounters. Unfortunately this version of the Pokedex is only available currently on the secondary market, so prices may exceed your budget for this particular version of the Pokedex.​ Check it out here to see for yourself. Ash’s trusty partner Pikachu has been with him since his journey began on that fateful morning that Ash slept in too late, missing the opportunity to choose between the usual Kanto starter Pokemon: Bulbasaur, Charmander and Squirtle. ​This plush Pikachu doll is a great way to bring your own little electric mouse anywhere you go. Last but not least we have Ash’s green backpack that he carries throughout his Kanto journey, likely for storing his extra garments and Poke Balls.